Dorabase takes place in Tokyo in the 22nd century. 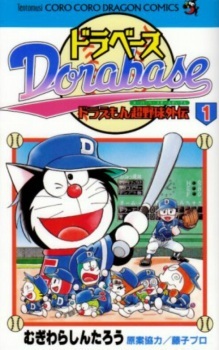 The protagonist of the story is Kuroemon, a cat robot of the same type as Doraemon and the captain and team manager of the baseball team Edogawa Doras. The manga focuses on the stories of the Edogawa Doras, as it faces countless adversaries and grows from a team unable to win even a single game to a world class amateur baseball team. The rules for baseball remain largely unchanged in the 22nd century, with the notable exception that three designated secret gadgets from the main Doraemon series can be used in each game. Poll: I can't be the only person reading this right?